In March 2014, I took my journalism class to India to cover the role of religion in the upcoming election. I’d done similar trips before to Israel and Ireland, but this time I wanted the students to have more than a fleeting encounter with the religion they were covering. 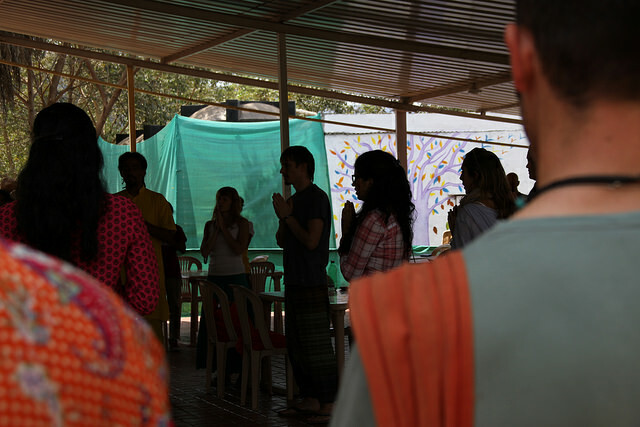 During a 2012 trip to India, a previous class had visited one of Delhi’s Hanuman temples. Eyes popping at the sight of yonis and lingams, red gods and blue gods, heaps of orange flowers and piles of sugary candies, we found ourselves in a packed and narrow chamber. Twisting around waves of petitioners, we reached the priests presiding over golden idols and fire braziers. After the robed officiants placed garlands around our necks, we moved away, standing and watching until head splitting, chest heaving, body shredding gongs paralyzed us. In a state of synesthetic overload, we had no choice but simply to be. 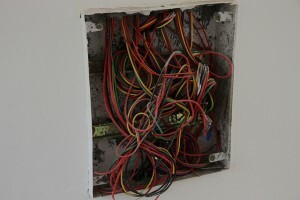 On the most recent trip, I wanted my students to experience something like that before we started reporting. The best option, I decided, was a long weekend at an ashram, where students could meditate, practice yoga, and listen to spiritual masters. The key was to take them outside of their comfort zones and into silence and stillness, trusting they would experience something visceral and perhaps even essential. I chose Ananda and Osho because they were both Westerner-friendly and close to Mumbai, where we would do our reporting. So, after flying twenty-plus hours from Los Angeles to Bombay and driving another six hours to Pune, I’d dropped half of the students at the rural Ananda retreat and alighted at Osho, an in-town urban oasis, with the rest. I gave clear instructions to both groups: try to stay off your screens and experience rather than observe (no taking notes). I also explained that they would be expected to write a first-person account of their visits, but that these could be anything from a chronicle of their spiritual journey to a review of the ashram’s food. The twelve students, nine women and three men, ranged from seniors to graduate students. Several were committed Christians, some were lapsed Catholics, and a few considered themselves “nones.” All were enthused about spending time at Osho and Ananda and had visited meditation centers in Los Angeles to prepare for the retreat. But the devil is in the details, as the saying goes, and the actual experience of the ashrams was not at all like the fantasy. 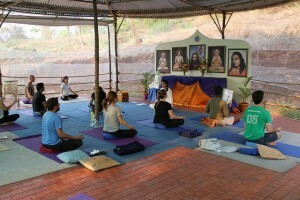 Students found the blatant marketing and self-promotion at both sites problematic; moreover, several of the students at Osho were unsettled by “dynamic meditation” techniques that required dancing, deep breathing, shaking, screaming, and other physical manifestations. Back in Los Angeles, many of the students wrote about their spiritual journeys at the ashram or, more accurately, the failure of those journeys to enlighten or even inspire. Still, most had thought-provoking experiences, and the collection of pieces shows a fascinating range of reactions to meditation. All of the students have graduated since writing these pieces. Posted in Losing My Religion? Jerome Campbell, a senior majoring in journalism, was at Ananda. A member of a campus Christian group, Jerome was warned to be on guard against spiritual warfare during the retreat. His experience proved the warning both right and wrong. Kaysie Ellingson, a graduate student in journalism, hoped to find spiritual renewal at Ananda; but when the students were forced to watch a promotional video, she lost heart in the group’s teaching. Matt Hamilton, a graduate student in journalism, is a former Jesuit seminarian. His time at Ananda surfaced tensions between the lure of spirituality and the call of journalism. Heather McIlvaine, a graduate student in specialized journalism, came to USC mid-career with a background in business reporting. A veteran of religious retreats, Heather had learned that her spiritual growth came from companionship, not solitude. Her time at Ananda did not change her mind. Brianna Sacks, a graduate student in journalism, was a member of the Ananda contingent. A self-professed “disciple of the great American religion of ambition,” Brianna threw herself into the retreat’s program. Her story describes what happened next. 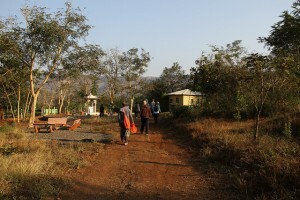 Melissah Yang, a graduate student in journalism, visited the Ananda ashram. Writing about breathing techniques she learned during her stay, Melissah describes how something as basic as taking in air turns out to be a way of understanding self, others, and the wonder of being alive.